What Is Your Pet Trying To Tell You? 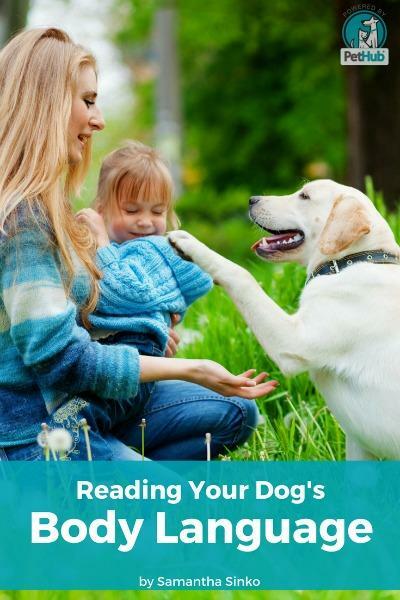 Reading Your Dog’s Body Language. Do you ever wish your dog could use words to tell you what they are feeling or thinking? Us too. Unfortunately they can’t. However, dogs do have their own ways of communicating with us and letting us know what is going on. As a pet owner, it is important to learn what your dog’s body language is trying to tell you. From “I’m hungry” to “I don’t feel good”, knowing what your dog is trying to say can help make both of your lives just a little easier. The first step to learning how to read your dog is learning the various components they use to express themselves. They use their ears, tail, facial expressions, and certain stances to show their feelings & thoughts to others. To read what your pet is telling you, start by breaking down their different signs. Your dog’s eyes can tell you a lot about what they are thinking or feeling. When your dog is happy and relaxed, their eyes will appear in their normal size. If you notice your dogs eyes seem larger or wider than normal, this can indicate that they are stressed or frightened. When your dog is feeling aggressive or threatened, their eyes will usually narrow and appear smaller than normal, almost as if they are squinting. This is also the case when they aren’t feeling well. Dogs use their mouths to help express certain emotions and you can tell a lot about what they are feeling by paying attention to these. 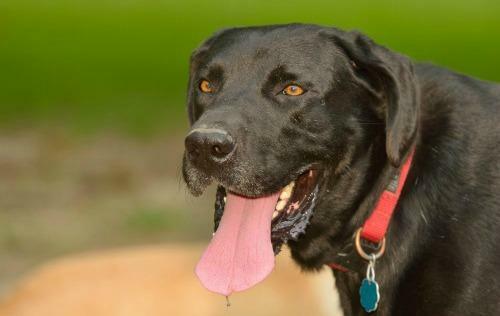 The way they hold their jowls, tongue, teeth, and jaw can speak volumes. When dogs are happy and relaxed, they typically have their mouths closed or slightly open. If they are really happy they could have their tongue hanging out. Some dogs can show their submissivness with a “smile”, where they pull their lips straight up to show their front teeth, which is usually followed by submissive body language as well. You can also tell when a dog is being aggressive by the way his mouth is positioned. If a dog has their lips pulled back with a wrinkled muzzle and bearing their teeth, that is a sure sign that dog is telling you not to come any closer. If you notice that their face is in this position and their top and bottom teeth are separated, this is an indication the dog is ready to bite and you should not approach them. 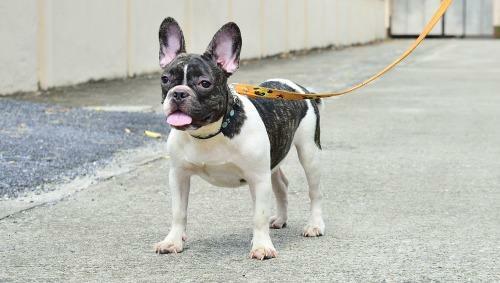 Dogs have several different shapes, sizes, and styles of ears. What your dogs ears look like can determine the best way to read what their position is telling you. When your dog is relaxed, they will hold their ears normally. If they are alert or feeling aggressive, they will hold their ears high and forward on their heads. To tell the difference, make sure you read the other components of their body language as well. You will know if a dog is frightened when their ears are pulled back flat against their heads. This is a sign of submission and/or fear. Just because a dog is wagging their tail, does not necessarily mean they are friendly or happy. Dog’s can wag their tail when they are happy, nervous, or feeling aggressive. A low hung wagging tail usually means that your dog is scared, unsure, or feeling extra submissive. 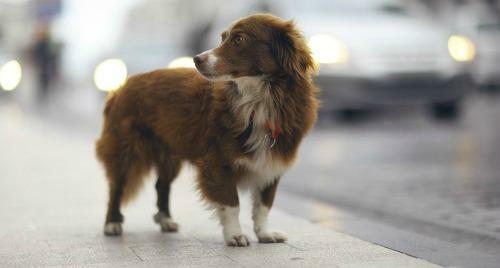 If your dogs tail is held high and is wagging but stiff, this could be a sign that they are agitated or uncomfortable. Make sure to watch all signs from your dog to determine what they are saying. You will know if your dog is comfortable and relaxed if they have a normal appearing tail wag; not high or low, just easy and relaxed. One of the best ways to tell what a dog is saying to you, is to pay attention to their overall posture. For the most part dogs will either try to appear smaller or larger than they are or they will remain normal. If your dog is happy, relaxed, or playful they will exhibit normal body posture. They may be eager or pouncing around, but their body language will appear normal. Your dog is telling you they are scared if you notice them trying to make themselves appear smaller. This means they will have their head hung low, ears pulled back, tail tucked, and they will most likely be hunched or cowered down to get as far away from what they are afraid of. They will act similarly when trying to appear submissive, as they want to make sure they aren’t taken as a threat. Aggressive, assertive, or angry dogs will try to make themselves appear larger. They do this by holding their head and chest high, leaning slightly forward to appear threatening, and sometimes standing high on their toes to look taller. Knowing how to read all the signs your dog is giving you is important. But keep in mind that every dog is different with different personalities, so make sure you realize it can be different interpreting the behavior of different dogs. Whether the behavior is directed towards you, someone else, or another animal, knowing what your dog is saying is crucial in any situation.